A passionate way to communicate your deepest feelings with the ones you love, this creative work of art is a wonderful personalized Christmas gift for anyone on your list. 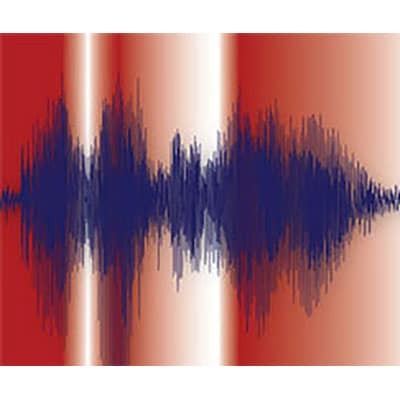 Create an amazing personalized Christmas gift for just about anyone on your shopping list this holiday season when you record interesting sound and transform it into an imaginative work of art. The perfect one of a kind gift for that person who has everything, this magnificent work of art is customized with your choice of color palettes, frames, styles and sizes to create a magical piece that is certain to enhance the beauty and character of any home. 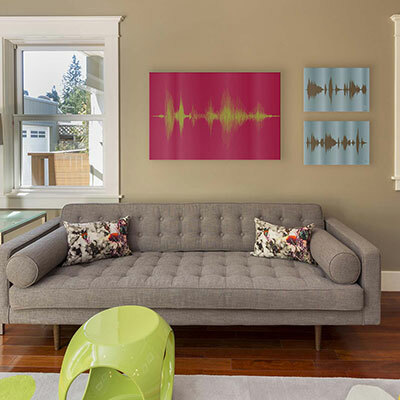 This Voice Art canvas is an interesting accent piece that goes well above the mantle, incorporated with less interesting wall décor, or behind the sofa. Voice Art Gallery uses innovative technology to help you communicate your feelings to loved ones like never before. The technique is so simple that even people who are less artistic can create memorable masterpieces that are certain to be cherished for generations to come.